There are several misconceptions that many believe about Neanderthals. One is that they were dumb and uncivilized, which is actually untrue. This misconception has lingered on for so long that we use “Neanderthal” as a word for an uncivilized and unintelligent person. 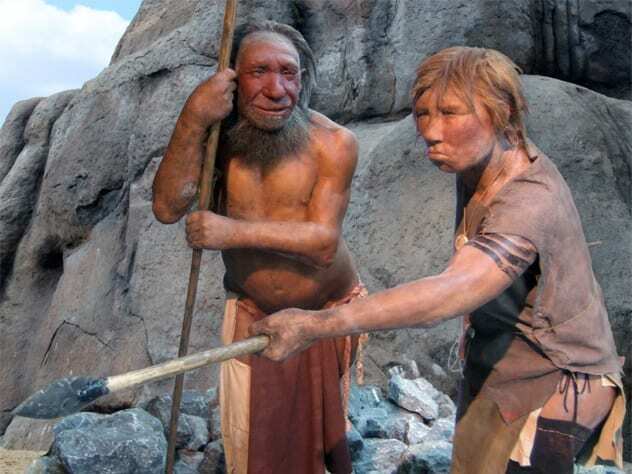 Neanderthals were even almost named Homo stupidus (“the stupid man”). Today, we know Neanderthals were as smart as humans. But that isn’t the only surprising fact we have about the Neanderthals. Read on to find out about the interesting things we’ve dug up. Neanderthals have often been depicted as slouched creatures with hunched backs, almost as if they were some other species of great ape. This depiction is wrong. Neanderthals walked upright and could have been better-postured than us. The myth of the hunched Neanderthal was started by Marcellin Boule, who believed Neanderthals were the missing link between humans and other great apes. Researchers concluded that Neanderthals walked upright after creating a computer model of a Neanderthal skeleton. They noted that the neck and lower spine were curved. Both indicate an upright posture. Neanderthals would have walked with a hunch if their necks and spines were straight, as originally thought. Researchers also saw that the wear marks on the skeletion’s hips indicated an upright posture. The sacrum (the bone in between the hip bones) was positioned just as it is with Homo sapiens. This could have only been possible if they had an upright posture. Early Homo sapiens migrated out of Africa 70,000 years ago. At the time, Homo sapiens shared the Earth with two other species of humans: the Neanderthals and Denisovans. The Homo sapiens went toward Eurasia, where they met and interbred with Neanderthals. Today, the descendants of these Homo sapiens (Asians and Europeans) have some Neanderthal genes in them. Scientists have discovered that the DNA of the average Asian and European is about two-percent Neanderthal. Sub-Saharan Africans have little to no Neanderthal DNA because their ancestors never left Africa and did not interbreed with Neanderthals. Homo sapiens interbred with Neanderthals and Denisovans because they were all closely related. All three groups descended from Homo heidelbergensis. A group of Homo heidelbergensis left Africa between 500,000 and 600,000 years ago. They split on the way. One group traveled to Western Asia and Europe and became the Neanderthals. The other group went toward Eastern Asia and became the Denisovans. The Homo heidelbergensis that remained in Africa eventually became Homo sapiens. 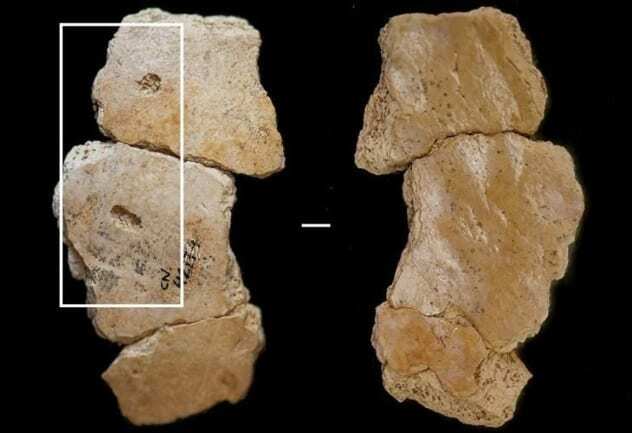 Early Homo sapiens seem to have had a thing for Neanderthal meat, at least if the hypothesis by Spanish anthropologists Policarp Hortola and Bienvenido Martinez-Navarro is true. The anthropologists speculate that humans feasted on Neanderthals as they migrated from Africa into Europe. Researcher Fernando Rozzi of the Centre National de la Recherche Scientifique in Paris makes the same claims. He reached the conclusion after analyzing a Neanderthal jawbone. He and his team discovered that cut marks on the bone were made by humans. If that wasn’t enough, early humans also probably used Neanderthal teeth to make necklaces. 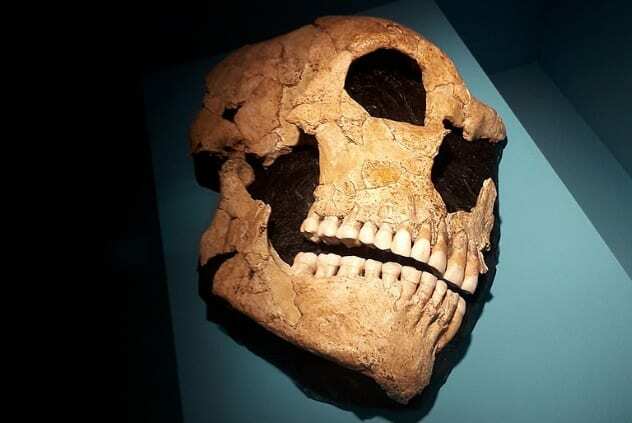 Other researchers, however, dispute the claims that Homo sapiens hunted and ate Neanderthals. They say early humans could have taken the jawbone from an already dead Neanderthal. If true, the claims would support the hypothesis that humans hunted the Neanderthals into extinction. Some researchers believe this because Neanderthals went extinct around the same time early humans reached Europe. Neanderthals were artists. In fact, they made the oldest cave painting in the world. Around 65,000 years ago, some Neanderthal used a red pigment to etch something that resembles a ladder onto the walls of a Spanish cave. 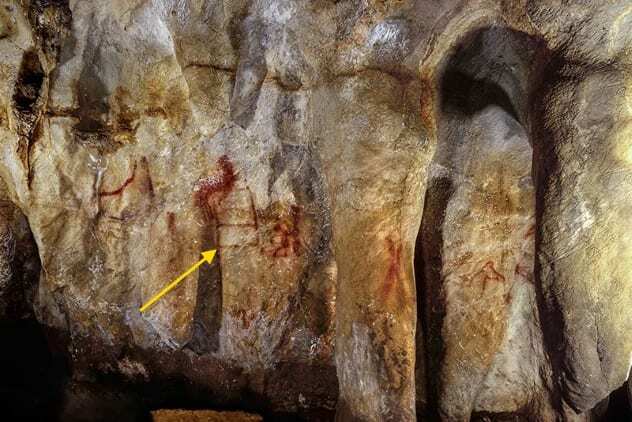 Researchers have found two more paintings made by Neanderthals in two other Spanish caves. All three artworks were clearly the handiwork of a Neanderthal because Homo sapiens had not reached Europe at the time. The artworks indicate that Neanderthals had a similar cognitive abilities to humans. The first Neanderthal fossil (that was recognized to be an early human) was discovered in the Neander Thal (“Neander Valley”) in Germany in 1856. Neander Thal was named after Joachim Neumann, a 17th-century German minister who often roamed the valley. Neumann also wrote hymns, which he published under the pseudonym “Neander,” the Greek translation of Neumann (as in “new man”). “Neander” and “thal” were soon slurred together to create the name “Neanderthal.” In 1904, the “h” was removed from “thal” because German does not have a “th” sound. However, some languages stuck with the “th,” creating a variant spelling of the name. In 1864, William King suggested that the new human species be named Homo neanderthalensis, after the Neander Valley in which the fossil was found. Two years later, Ernst Haeckel suggested that we call the new human species Homo stupidus (“the stupid man”). Fortunately for the Neanderthals, King’s name was chosen because he proposed it first. It is no surprise that Ernst suggested the name Homo stupidus for Neanderthals. We had poor knowledge of Neanderthals at the time—and probably still do now. Most people thought they were dumb creatures that couldn’t draw or use tools. However, we now know Neanderthals could draw and use tools. They were also effective hunters, cared for their sick and elderly, and probably spoke some language. Neanderthals were just like Homo sapiens in many ways. Inbreeding was common among Neanderthals. In 2014, researchers discovered a 120,000-year-old Neanderthal toe bone in the Altai Mountains of Siberia. Analysis of its genome revealed that the Neanderthal had closely related parents. They could have been siblings, first cousins, or even an uncle and his niece. The inbreeding hypothesis was further supported by a 50,000-year-old Neanderthal fossil unearthed in Vindija, Croatia, and 13 found in Sidron, Spain. All bones showed that the subjects descended from closely related parents. As with modern humans, inbreeding among Neanderthals came with its own problems. 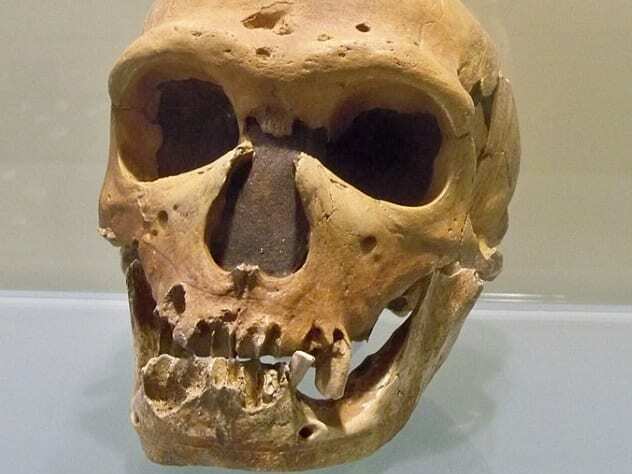 Inbred Neanderthals had malformed body parts and bones. Many of their fossils had misshapen kneecaps and vertebrae. At least one Neanderthal retained a baby tooth into adulthood. Inbreeding made Neanderthals weaker and also less likely to reproduce than early Homo sapiens. Unfortunately for us, Neanderthals transferred some of these unfavorable genes to early humans as they interbred. 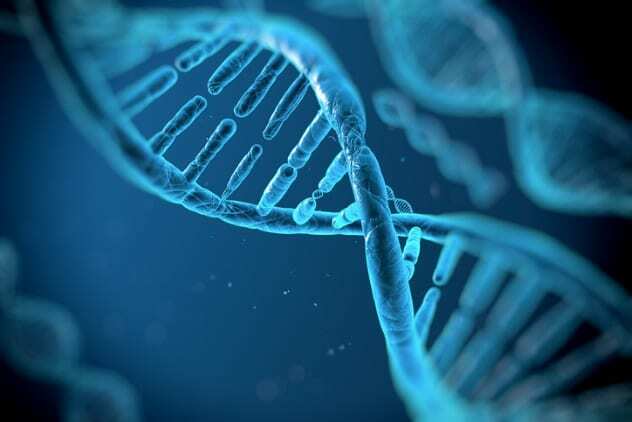 The genes are still present in some humans today, even though they have been largely suppressed. Some researchers speculate that inbreeding could have been one of the reasons the Neanderthals went extinct. While we are unsure whether early Homo sapiens ate Neanderthals, we know Neanderthals ate Neanderthals. Yes, Neanderthals were cannibals. The conclusion was reached after scientists analyzed the bones of five 40,000-year-old Neanderthals. The bones were broken the same way Neanderthals broke bones of the animals they hunted. The reason Neanderthals feasted on other Neanderthals remains unclear. For a start, Neanderthals, early Homo sapiens, and even modern Homo sapiens are not nutritious. Neanderthals would clearly have preferred hunting bigger and more nutritious animals like horses, bison, reindeer, and mammoth that roamed nearby. Researchers have speculated that Neanderthals cannibalized other Neanderthals for their marrow. This could be true, considering that the bones showed signs of being deliberately broken to reach the nutritious marrow inside. Researchers also suspect that Neanderthals could have turned to cannibalism for cultural reasons, or they just liked munching down on neighboring Neanderthals that strayed into their territory. Neanderthals probably spent a huge chunk of their lives trying to avoid getting eaten. Besides their fellow Neanderthals and possibly humans, they were also hunted by wild animals of the day. Researchers reached this conclusion after analyzing some Neanderthal fossils. They discovered the fossils had bite marks consistent with large carnivores. A fossil bone belonging to a young Neanderthal child clearly proved he was eaten by a large cat. The analysis of the bone of another Neanderthal child from Ciemna Cave in Poland revealed that he was eaten by a large bird. The 115,000-year-old bone had holes indicating that it had passed the digestive system of a bird. However, researchers could not confirm whether the bird killed the child or fed on its corpse. It should not be very surprising that Neanderthals sometimes ended up in the stomachs of other animals. Neanderthals and these animals were practically neighbors. Clashes would have been common, since they competed for the same sources of food and sought shelter in the same caves. In 1908, two archaeologists unearthed the 50,000-year-old remains of a Neanderthal in a cave in La Chapelle-aux-Saints, France. The anthropologists insisted that the Neanderthal had been deliberately buried there, even though nobody believed them at the time. Archaeologists returned to the site in 1999. 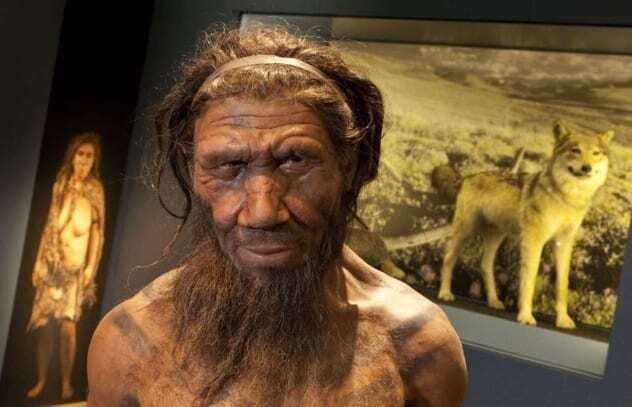 In 2012, a team led by William Rendu of New York University confirmed that the Neanderthal was truly buried there. Since then, we have found over 20 other sites scattered across Europe containing the remains of buried Neanderthals. 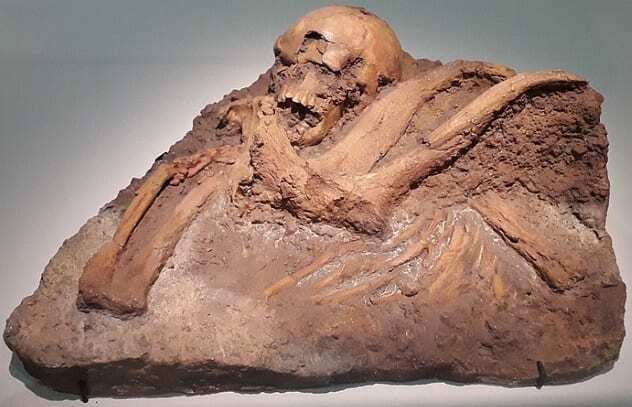 The burials were often hasty, to prevent the body from being eaten by scavengers. The discovery of burials among Neanderthals adds credibility to claims that Neanderthals took care of their sick and elderly. The Neanderthal found in the French cave had bone deformations and had lost lots of teeth. 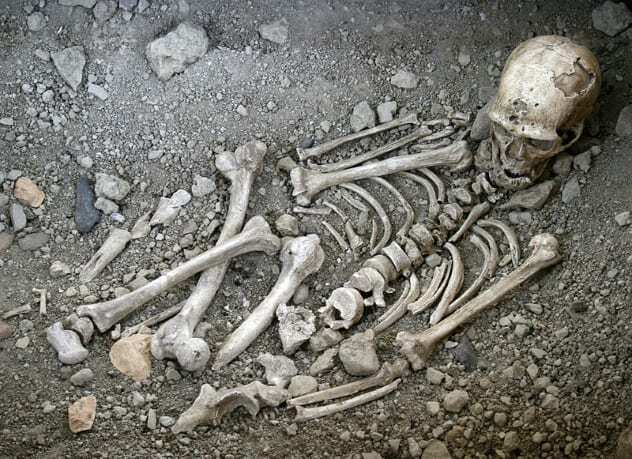 It is unlikely that Neanderthals would have bothered to bury somebody they refused to care for. We do not know why Neanderthals went extinct. We have already mentioned inbreeding and hunting by Homo sapiens as possible reasons, but those are only hypotheses. Other researchers speculate that Neanderthals went extinct after early humans infected them with deadly diseases after they migrated into Europe. Other researchers think it was actually because Neanderthals couldn’t match the higher reproduction rate of humans. A more recent theory involves two ice ages. Some 44,000 years ago, an ice age began and lasted for 1,000 years. This was followed by another ice age that began 40,800 years ago and ended 600 years later. Temperatures in Europe reached below zero during both ice ages. Plants died off, starving the large game that the Neanderthals hunted. The large animals died off, and the Neanderthals soon followed since they depended on large game for food. Early Homo sapiens survived the ice ages because they were already adapted to eating plants and all kinds of meat and fish. Some researchers believe a small number of Neanderthals survived the first ice age, and any remaining Neanderthals moved in with humans when the second ice age began. They interbred and soon became a part of the human gene pool. 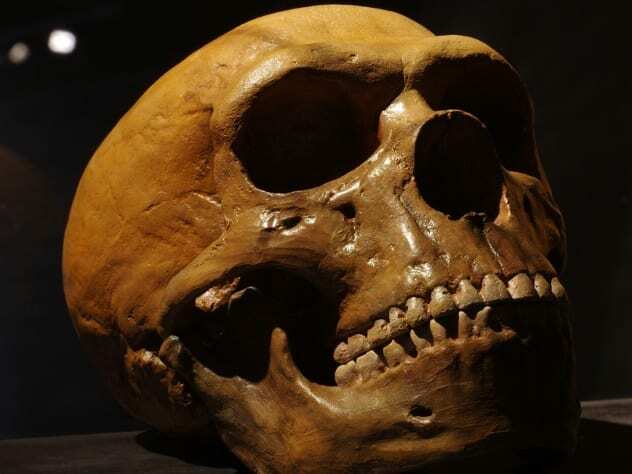 Read more interesting facts about Neanderthals on Top 10 Fascinating Facts About Neanderthals and Top 10 Remarkable Traits Neanderthals Have In Common With Modern Humans.